recorded as Earnest C. Segraves, 7, born in September 1892 in Texas, son of James H. and Margaret M. Segraves. recorded as Earnest C. Segraves, 17, born in Texas; son of James H. and Margaret M. Segraves. Ernest registered for the World war I draft as Earnest Clinton Segraves, age 24 of Roanoke, Texas, born September 21, 1892, a natural born citizen born in Roanoke, a farm laborer for Lee Litsey in Roanoke, single, described as medium tall, medium build, brown eyes and brown har with no marks or scars. recorded as Earnest C. Seagraves, 27, born in Texas, machinist in garage, son of James and Margarett Seagraves. Ernest married Nora Ellen Dockins probably in Denton County, Texas. 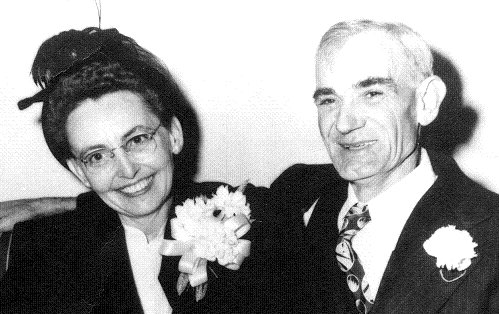 first named child of Ernest C. and Nora E. Segraves born: Kathleen Segraves. second named child of Ernest C. and Nora E. Segraves born: Ernest Clinton Segraves, Jr.
third named child of Ernest C. and Nora E. Segraves born: James Harold Segraves. recorded as Ernest C Segraves, 38, born in Texas, both parents born in Tennessee, married, 29 at 1st marriage, shop foreman; Nora E., wife, 29, born in Texas, both parents born in Arkansas, married, 21 at 1st marriage; Chester C., son, 11, born in Texas, both parents born in Texas; Kathleen, daughter, 4, born in Oklahoma, both parents born in Texas; Ernest C., son, 2, born in Oklahoma, both parents born in Texas; James H., son, 4/12, born in Oklahoma, both parents born in Texas. fourth child of Ernest C. and Nora E. Segraves born: Milton Paul Segraves. fifth child of Ernest C. and Nora E. Segraves born: Shirley Jean Segraves. Ernest C. Segraves is listed as residing with Nora in Oklahoma City. sixth child of Ernest C. and Nora E. Segraves born: Eddie Wayne Segraves. recorded as Ernest C Segraves, 47, born in Texas, resided in same house in 1935, automobile mechanic; Nora Segraves, wife, 39, born in Arkansas, resided in same house in 1935; Chester Segraves, son, 21, born in Texas, resided in same house in 1935, drug store delivery boy; Kathleen, daughter, 14, born in Oklahoma, resided in same house in 1935; Ernest C. Segraves, Jr., son, 12, born in Oklahoma, resided in same house in 1935; James Segraves, son, 10, born in Oklahoma, resided in same house in 1935; Shirley, daughter, 6, born in Oklahoma, resided in same house in 1935; Eddie, son, 2, born in Oklahoma. Ernest died at age 84 in Oklahoma City.